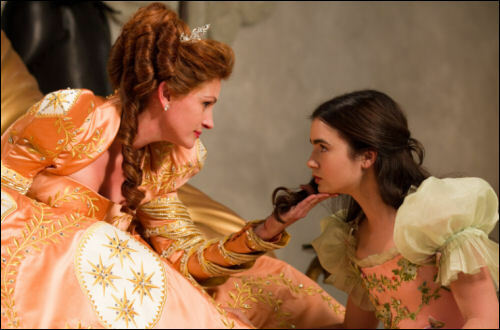 The formerly untitled Relativity Media Snow White film starring Lily Collins as Snow White and Julia Roberts as the Evil Queen finally has a name and it is called Mirror Mirror. Mirror Mirror also stars Armie Hammer as Prince Andrew Alcott and Nathan Lane as the hapless and bungling servant to the Queen. The film is directed by Tarsem Singh and open in theaters on March 16, 2012.